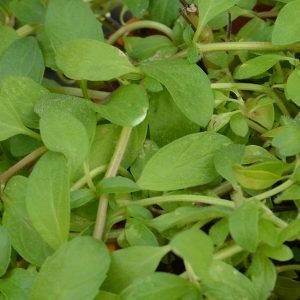 Pennyroyal plants are a member of the mint family, the botanical name is Mentha pulegium and it is one with a stronger flavour than others and the fragrance of the bruised foliage is strong as well. Used more for its essential oils and as a tea than as a culinary herb it is said to help relieve headaches. It is also used as an insect repellant plant although it should not be used in contact with humans or animals. A few precautions must be taken when using this herb, it is not to be used when pregnant as it is an abortifacient , it can cause miscarriages. It can also cause liver and kidney problems. Seek medical advice before using this plant. So although it is a great ground cover you need to be careful with it. This is a fairly vigorous and invasive plant so we suggest growing in a container. Humus rich moist soil sun to part shade. Ants dislike it. Reaching only around 15 cm in height this is a plant that grows well in full sun in a humus rich fertile and well drained soil. It will spread by underground runners, so consider growing it in a contained area or perhaps in a pot. It is easily removed if it spread to far. Seek professional advice before using this plant.